Bennett’s wallaby. © 2014 Erland Howden, all rights reserved. 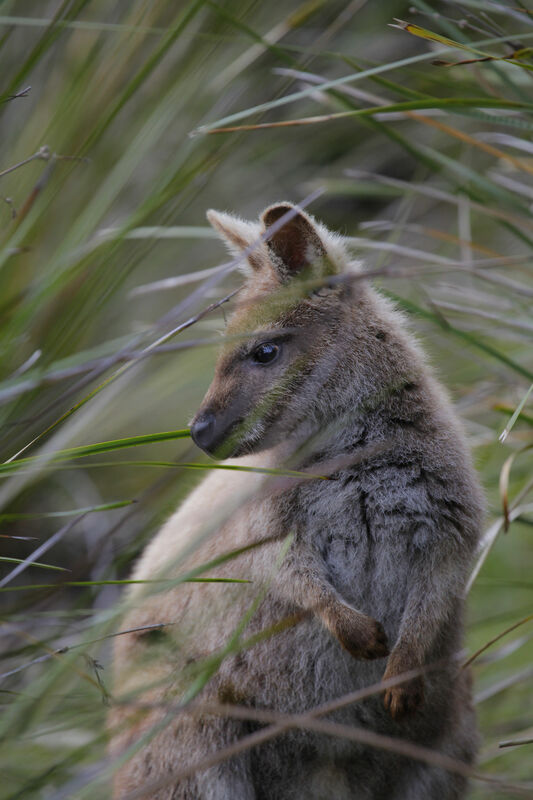 A fairly light-coloured, possibly juvenile Bennett’s wallaby (Macropus rufogriseus rufogriseus) – small chance it is offspring of Bruny Island’s albino wallaby. South Bruny National Park, Tasmania. © 2014 Erland Howden, all rights reserved.